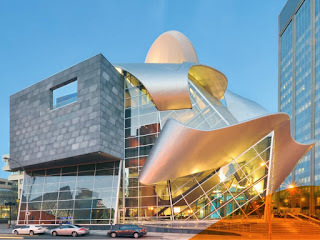 Home » Art » The art of designing and constructing buildings? » The art of designing and constructing buildings? The art of designing and constructing buildings? Always been closely intertwined with the history of art, for at least three reasons. First, many public works (especially religious buildings) were designed with aesthetics in mind, as well as functionality. They were built to inspire as well as serve a public function. As a result, they involved the services of a wide range of 'artists' and decorative craftsmen as well as labourers. Second, in many of these buildings, the exteriors and interiors acted as showcases for fine art painting (eg. Sistine Chapel), frieze and relief sculpture (eg. The Parthenon, European Gothic cathedrals), stained glass art (eg. Chartres Cathedral), and other artworks like mosaics and metalwork. Thirdly, public building programs typically went hand in hand with the development of visual art, and most major 'arts' movements (eg. Renaissance, Baroque, Rococo, Neoclassical) influenced both architecture and the fine arts.